Cerise Ellen: Vintage Vibes: 80's Power Suit! When it comes to vintage clothing I can't go past 80's pieces! Give me shoulder pads, luxe prints and statement cuts, and I'm swooning! The latest 80's piece to hit my wardrobe is a striking black jumpsuit that embodies everything a New York power suit should! Shoulder pads, double breasted suit top half, thick waist belt, round buttons and a pointed collar. 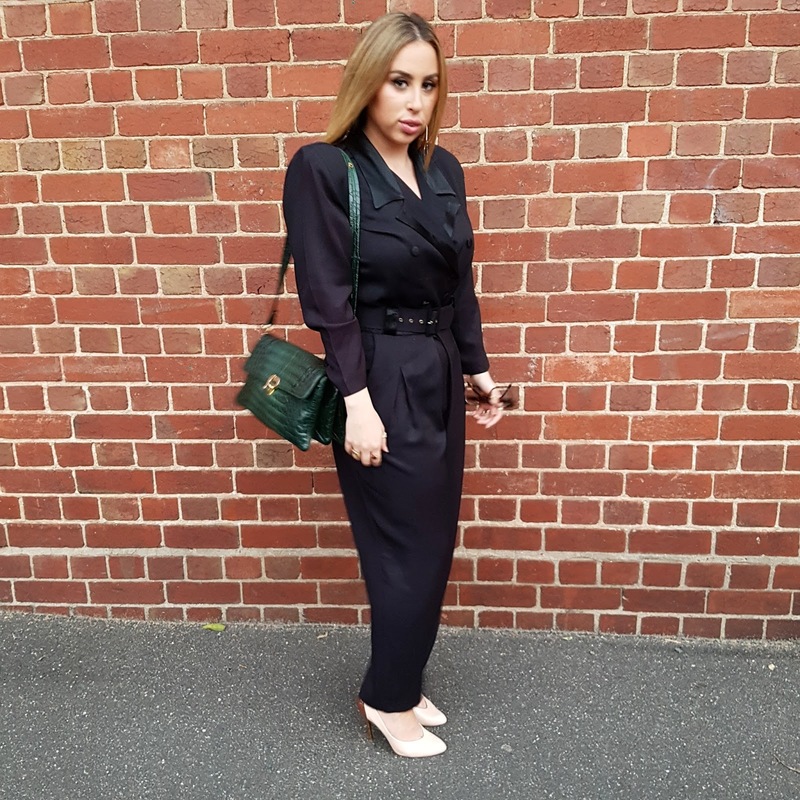 The jumpsuit was gifted to me by my little sister so I thought it was the perfect opportunity to wear it to her recent engagement party paired with a vintage bag and my Ted Baker wedding shoes. What bold piece will be next in my vintage obsession?